This thing is awesome! So where can I use my LEGO Gift Card? 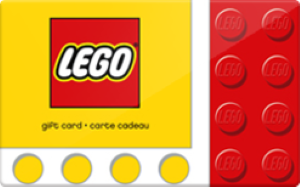 Visit a LEGO store, on shop.lego.com, or over the phone—the LEGO Gift Card is as good as gold! Currently, LEGO Gift Cards are not redeemable at LEGOLAND® Parks.